Mariazell in Austria is not only a destination of numerous pilgrimages from all over Europe, it is also a great tourist destination of hiking in the Austrian Alps. For those who make the journey with their small children, it is possible to come up on a gondola lift to Burgeralpe ben. When you reach it you will admire an incredible panorama of the bens. Ötscher, Annaberg and others spread grandiosely until the horizon. You will also see the view of the glittering Eurlaufsee lake in the valley. Gondola lift shuttlers from 14th June to 9th Oct. Open 7 days. Operating hours daily: 9am to 5pm. Children aged from 6 €11 (prices updated in 2017). The gondola departure is located in the centre of Mariazell close to the Basilica. The most exhilarating experience, surely, is walking with the lightness in the ben oneself following of the red tourist route. A stroll can be taken in just 1,5 h. Furthermore, a few tourist routes with their various length come out of the upper gondola station. 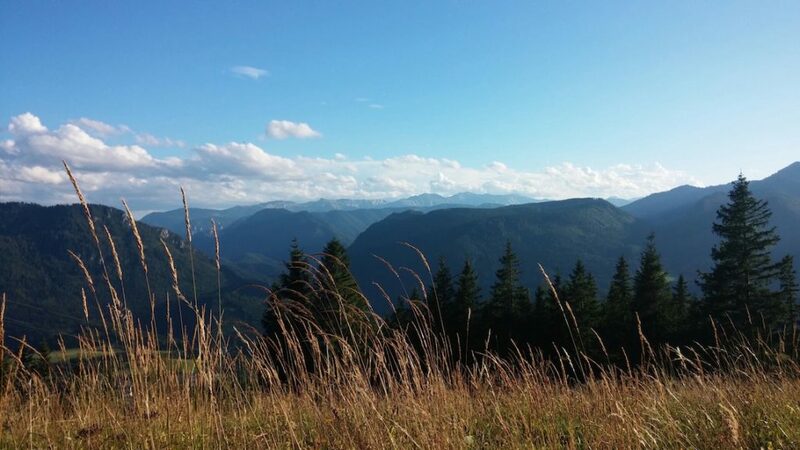 The walks are with splendid views and, are first and foremost, easy to reach, especially for beginners who are looking for an adventure and to break the ice in the Alps. Then, for those who want to take on some exciting challenges, the scenic Tyrol can be discovered. For those who want to look for stronger physical and mental challenge, Dachstein reaches an elevation of more than 2000 metres above sea level. The next destination could be Steiermark, but these mountains are really high. 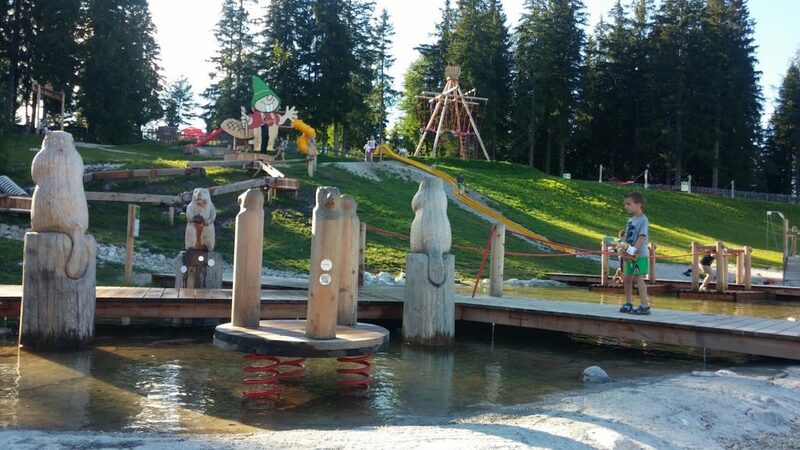 For the family, young and old (no age limits) there is another fantastic attraction, a topical park called “Holzknechtland” located near the restaurant around a pond in the ben. Getting there and back is not complicated on the gondola lift, indeed it is useful for people and parents pushing a baby buggy. It seems to have a ring to it, especially for children to encourage them on the walking tour in the Alps. It sounds like a bravery award for children. Park admission costs: adults € 8,50; children from aged 6 € 5,50 (prices updated in 2017). A lot of attractions for visitors have been set up there. You will get to know the history and life of the coalmen in olden times as well as how wood was made to float down and have an opportunity to try out it themselves. Moreover, you can not miss how the old windmill works as well as how the beehive looks like inside and how the bees work busily, first and foremost to be become acquainted of bees’ life. You can take a spin the choo-choo around the lake as well as have fun on the aquatic square: fitting on the raft or streamlets or a big waterslide or playing in the sandpit. (You will need to take swimwear and a towel). Lastly, an extra something that might fascinate children is unlimited swimming in the ball which is included in the ticket price. Another pleasure, offered to older children and the ecstatic adults, and a trial of their strength is going mini rafting and water skiing on the cableway. This is a fun! Those last two attractions are not included in the price. For those tourists who would like to relax and unwind, and first and foremost, to those who place value on stillness and beautiful nature, the walking tour on the short trails or having a picnic on the huge meadow with the gorgeous view it is worthy and highly recommended. And what’s more, you need to be happy?